Healthy Lombard is now accepting nominations for its annual Health Heroes recognition, which honors individuals families, and/or businesses who have made a noticeable effort to improve their health and wellness during the past year. The individuals who are chosen for the Health Heroes recognition will receive their awards at the Mach 2019 Healthy Lombard partners’ Meeting that will be held at Maxfields Restaurant on Roosevelt Road in Lombard, IL. To make a Health Heroes nomination, please write a one-paragraph (150 words or less) explaining what an individual or family has done to get healthy this past year or what a business has done to help the community or individuals in their workplace lead a healthier life in 2018. Winners will receive a certificate of acknowledgment and a $50 gift card. 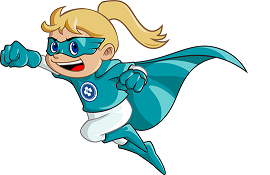 Email nominations to Healthy Lombard’s Health Hero Chair, Jenn McGrath at jenn@healthylombard.com or mail the information to her 128 South 3rd Avenue, Lombard, IL 60148 no later than. January 14, 2019. In addition, please include contact information for BOTH the nominator and the nominee (name, address, phone number, email). Winners and nominators will be notified by email the week of January 21, 2019.